Authentic funk and soul loops. H&M have released a series of Deep House records under their own labels Soulstar and Little Angel Records which are distributed worldwide. H&M now known as some of the scenes most respected Deep House Producers, have put together an awesome collection of samples in this great title from Loopmasters. 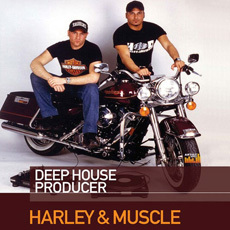 This is a consumate collection of some of the finest Deep House loops on the market. The collection is packed with all the essential Deep House ingredients you will need including lush rhodes chords, fine Deep House drumloops and progressions, lead loops, deep bass lines and a superb collection of string progressions which will fill any dance floor within minutes!